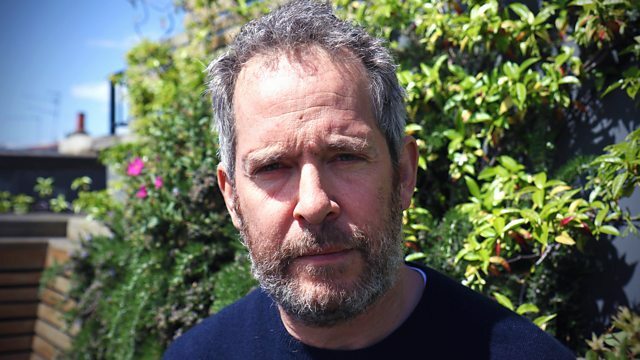 Tom Hollander presents an appeal on behalf of IntoUniversity, a national charity that provides local learning centres in some of the UK's most deprived communities. Browse content similar to IntoUniversity. Check below for episodes and series from the same categories and more! and where we feel the excitement of learning new things. we may have thought, "I can be anything I want." working hard to try and make some of these aspirations come true. Growing up, when it came to my education, I was very lucky. and supported and the path to university was shown to me. it can be a very different story. I came to the UK at the age of nine months. And since then, I've just been born and bred in East London. but is still classed as one of the most deprived in the capital. Growing up in East London has definitely been tough. When I was young, we were kind of like deprived of opportunities. I've not always enjoyed school and learning, you know. if you were good at school then you would be bullied. I was messing with the wrong type of group, missing school. There was definitely that risk of going through the wrong way of life. No skills, no hope, no future. growing up in modern Britain. has the chance to dream big. I wanted something bigger for myself. I didn't really want to just follow the crowd. It's tested me in completely different ways. but about opportunities that are ahead of me too. 22 learning centres across seven cities. and it was really helping me. "you can go on to university and do well for yourself." to make something that was out of reach possible. with every child, wherever there is a need. about what they want to do with their life. where we need to talk about aspiration and achievement. The charity offers study weeks and workshops to schools. are paired with young people to help inspire the next generation. was being paired with a university student who was my mentor. like a big brother or anything like that. can do for a young person. so that they too can build towards a successful future. and since then has helped nearly 2,000 children from the local area. who've been attending for the last two years. Good lad. Hairband for you. Come on then. 'Harry is my eldest. He's 11 years old. Annie is eight and they couldn't be more different. I and the kids' father split up about six or seven years ago. They spend at least a couple of nights a week at their dad's. Harry understands that I'm a single parent. you don't ask for anything because I just can't do it. I don't ever want to say no to them because money's the issue. And, unfortunately, that does come up. and then have time with them in the afternoon and do their homework. Unfortunately, it isn't an ideal world and I have to work. and Harry has become a more confident young man. and communicating to other people. My worst subject was maths because I found it really tricky. because IntoUniversity have always helped me. and certainly what I have at home. and it was just never an option. because there isn't going to be the money. Here we go, here we go! Yay! who have no idea how to access university. I'm ecstatically proud of Harry and Annie. and I can't stop grinning, thinking of them now. so much over the period of time that's elapsed. They keep impressing me, they keep making me proud. Hello, Ama. How are you? and become an IntoUniversity mentor himself. it's given me the chance to give back and help out younger people. and I feel really happy coming. and just to believe in myself. but we shouldn't take it for granted. The truth is, it's not always considered an option. they need your help to get there. then please make a donation now. and the whole £10 goes to IntoUniversity. ..writing IntoUniversity on the back of the envelope. Tom Hollander presents an appeal on behalf of IntoUniversity, a national charity that provides local learning centres in some of the UK's most deprived communities. Working with children from the age of seven, the charity starts the conversation early about higher education, making sure it is viewed as an option for any child, no matter their background. Nahyan from east London grew up thinking university was out of his reach but, after getting involved with IntoUniversity at 14, he has now completed his first year at Goldsmiths, University of London. Ash, a single mum, lives in Brighton with her two children Harry and Annie and they have used their local learning centre for two years. The change Ash has seen in her children's confidence and grades has been remarkable and, no matter what her financial position is in future, she is now determined that university will be an option for Harry and Annie.